One of the first things you may want to do is to browse the site to see the information and photographs that have already been added. 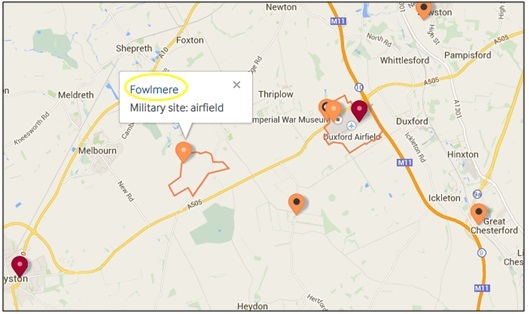 Within a few simple steps you can discover which airfields, groups, people and aircraft were associated with your local area during the Second World War. One quick and easy way to do this is to view the website’s interactive map which can be found on the homepage of the website. 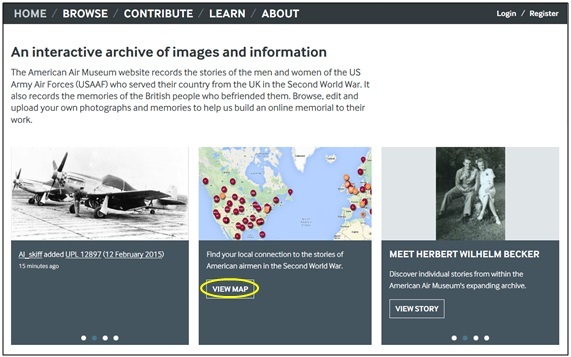 This will take you to a map of the United Kingdom which displays the original locations of all military sites used by the US Army Air Forces (USAAF) in the Second World War, as well as cemeteries, crash sites and places of birth and residence for many of the people on the website. A great way to begin using this map is to type your town or village into the ‘Jump to a location’ box and then click the ‘Jump’ button. This will focus the map on to your chosen location. The key at the bottom of the page tells you what each different symbol on the map means. To view more details on any of the places shown on the map, click on it and then click the place name to go to its dedicated page on the website. 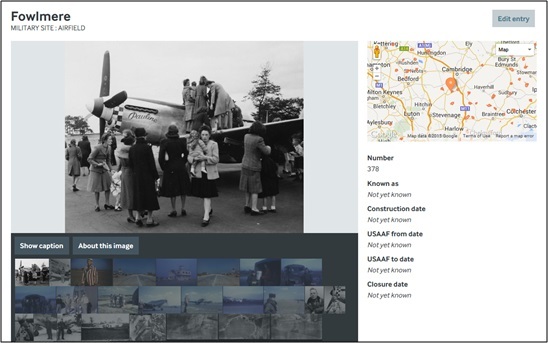 Airfield pages will display all of the pictures on the website which are associated with this location, as well as information on the airfield itself such as the units and specific people or aircraft thought to have been based there. Click any of the smaller photos in the image gallery to view a larger image. 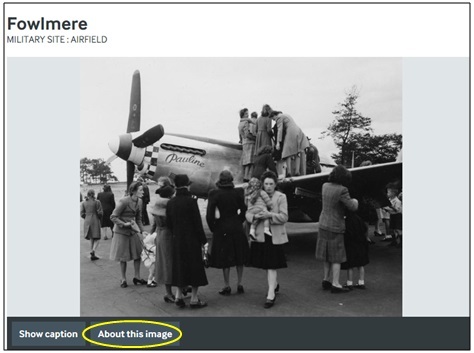 Clicking the photo again or the ‘About this image’ button will take you to that photo’s page on the website which includes more detailed information on the people, aircraft and places shown within the photograph. If you want to view the photograph’s caption without leaving the airfield page, click the ‘Show caption’ button. Click on any of the units, people or aircraft listed on the airfield page to go to their page and view more information. Often, not all of the associated units, people and aircraft are shown on the page but these can be revealed by clicking the ‘Show all’ button above any of the lists.